Ever since the tremendous 2013 NBA Finals concluded one year ago, all NBA fans have wanted, beyond their own teams making it, is a Heat-Spurs rematch. Well folks, that be what we have right here. Miami is going for their third NBA championship in a row. San Antonio is trying to rebound from that epic game 6 collapse to win their fifth title in 15 years. 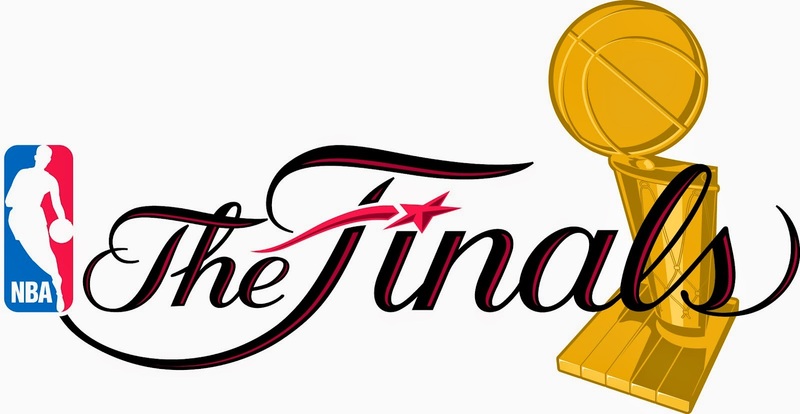 Who will be hoisting the Larry O'Brien Trophy this June? Here are my predictions. Just to put it back on the record, I picked the Heat to win it all back in October. Granted, I picked them to take out the Warriors, so there's that. But I have found this to be a very tough series for me to pick as I can find many a reason for either team to become champions of the Association. The Heat only have the best basketball player in the world. Sure the supporting cast is not the best that LeBron James has had during his time in Miami but Dwyane Wade still can get it done, Miami has the shooters to space out the floor and coach Erik Spoelstra is not afraid to tinker with his lineup to get the right fits. Also, did I mention LeBron James? Meanwhile for the Spurs, they are no JV program. There are many reasons why they had the best record in the NBA this year whether it be their high-powered offense, the many talented lineups they can throw out there on any given time, or the best coach in the NBA in our good friend, Gregg Popovich. It is clear to even the casual observer that either of these teams would be worthy champions. My mind is telling me to go with the Spurs but my gut is telling me to stick with the Heat. I just think that it may be a little foolish to bet on anybody that is not LeBron James at this point. The only way Miami wins these Finals is if they can manage to win Game 2 or 5 in San Antonio allowing them to win in 6. There's a reason the Spurs are averaging double digit wins at homes since they got past the Mavericks, heck even with the Mavs in Game 7. My prediction at the start of the year was Spurs in 7 in the Finals this year (though I thought Miami would have the homecourt), and I did think it would be a Spurs/ Heat rematch, unless Indiana could dethrone the Heat. The only reason I question the Spurs in 7 now is because of Parkers injury, but I think he will play starter minutes in all games. The ony question is will it slow down his tenacity. If it goes 6, I lean toward Miami. If it goes 7, I'm picking San Antonio all the way.